Support St. Benedict's While Shopping at King Soopers / City Market. King Soopers has a new Community Rewards program. The Community Rewards program replaces reloadable gift cards and King Soopers gift cards. You can support St. Benedict's when shopping online ('Click List'), home delivery, and shopping in King Soopers or City Market stores. There is no need to keep track of a reloadable card or multiple reloadable cards. Enjoy all the benefits of your Sooper card including special sale prices, digital coupons, and earn fuel points all while supporting our parish. 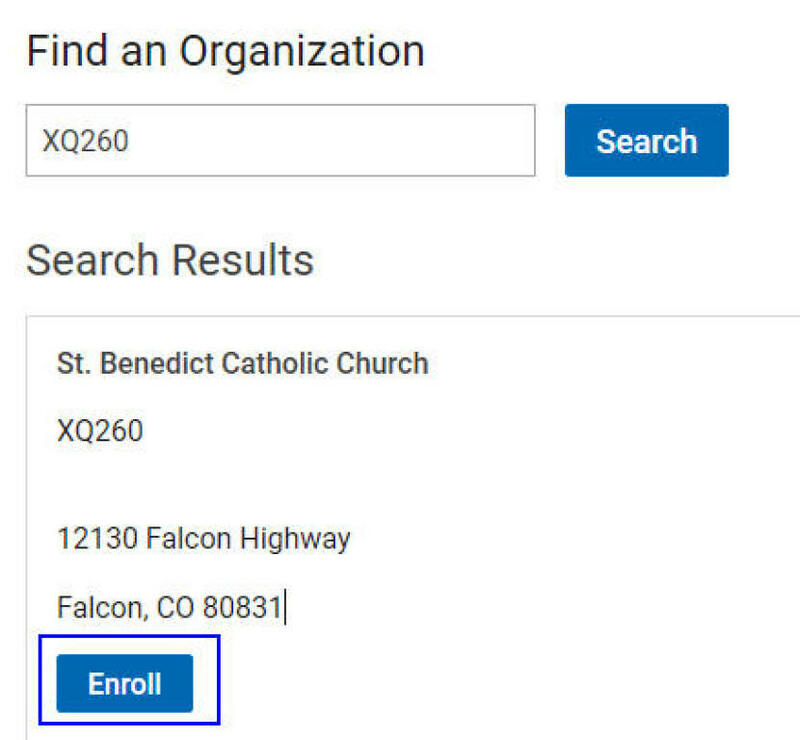 Once logged into your King Soopers or City Market account, search for St. Benedict Catholic Church either by name or XQ260 and then click Enroll. Are you a new user? 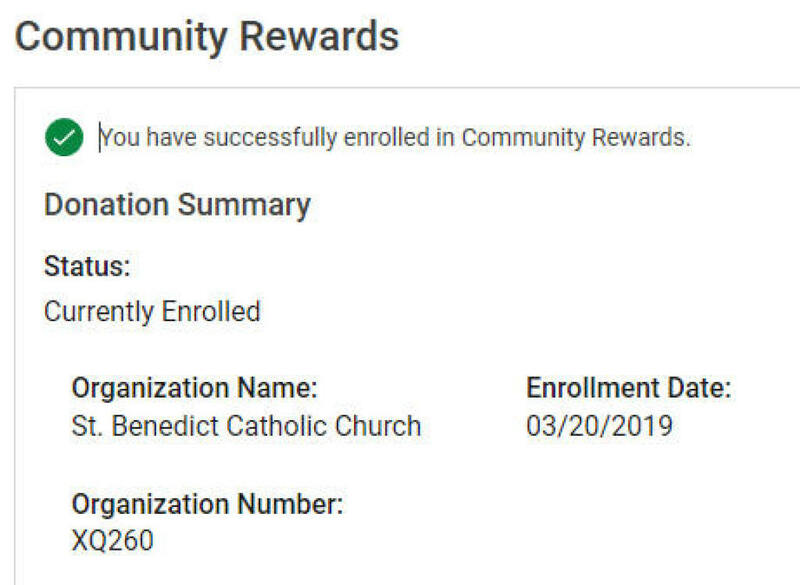 Simply create an account which requires some basic information, a valid email address and a rewards card.Then, enroll in Community Rewards for St. Benedict Catholic Church. Purchases count for St. Benedict's once you register your rewards card. 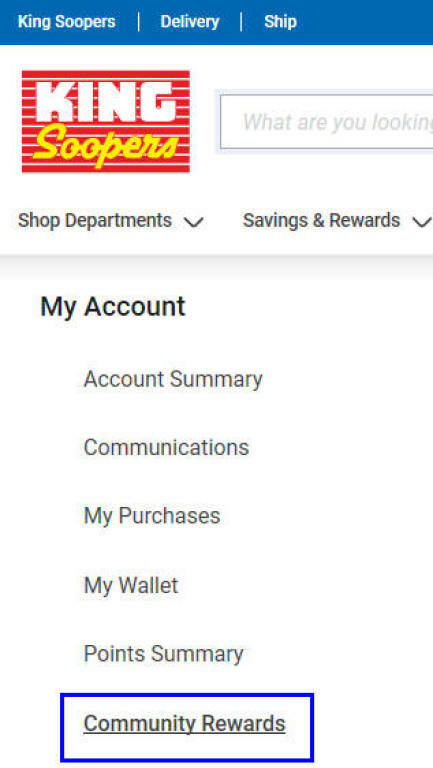 You must swipe your registered King Soopers or City Market rewards card or use the phone number that is related to your registered King Soopers or City Market rewards card when shopping for each purchase to count. Invite your friends and family members to register their King Soopers rewards cards with the Community Rewards program. Step 2: In the Find an Organization option indicate XQ260 or St. Benedict Catholic Church. Next, Select the Enroll option. Step 3: Congratulations! You are enrolled. Be sure to use your King Soopers or City Market rewards card when shopping.